Amref Health Africa is an independent, non-profit Organization (NGO) whose mission is to “improve the health of people by partnering with and empowering communities and strengthening health systems”. Amref Health Africa has over 500 employees throughout Africa with its Headquarters in Nairobi, Kenya. Amref Health Africa has offices in Tanzania, Ethiopia, Kenya, Uganda, Malawi, South Sudan and Senegal and number of offices in Europe and North America for fundraising. Amref Health Africa-Tanzania is largely supported by Multilateral, Bilateral and National donors, implementing several programmes including HIV/AIDS/TB/Malaria, Reproductive, Maternal, Newborn and Child Health, Water and Sanitation, Capacity Building and Clinical Outreach. 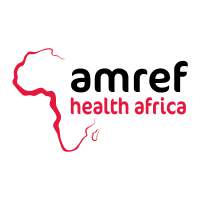 Amref Health Africa Tanzania anticipates receiving funding from The Global Fund for AIDS, Tuberculosis and Malaria (GFATM) for the implementation of various TB and HIV/AIDS interventions from 2018-2020. To coordinate and provide support to CSOs and CBOs and local government structures in the implementation of Global Fund HIV/TB interventions. Advanced Diploma or Basic degree in Medicine or Nursing. Post graduate qualification in Public Health or other related field will be an advantage. Amref Health Africa – Tanzania regrets that only short listed candidates will be contacted. Amref Health Africa is an equal opportunity employer and has a non-smoking environment policy; Women and People with disability are encouraged to apply.